During photosynthesis, plants use energy from the sun to form sugar from carbon dioxide and water. As temperatures rise, however, photosynthesis becomes increasingly inefficient in most plants and drastically diminishes their productivity during hot weather. C4 plants -- which comprise only 3 percent of flowering plants -- have developed an alternate means of photosynthesis that allows them to maintain efficiency, even during hot weather. According to retired Harvard biology professor John W. Kimball, despite the low numbers of C4 species, they carry out a quarter of the photosynthesis on land. Most plants' photosynthetic efficiency -- the rate at which they convert light energy into chemical energy they can use to power growth and life processes -- ranges between 1 and 4 percent, with the higher values belonging to cultivated crops. Sugarcane, a C4 plant, demonstrates a photosynthetic efficiency of about 7 percent, one of the highest recorded naturally occurring photosynthetic efficiency levels on Earth. 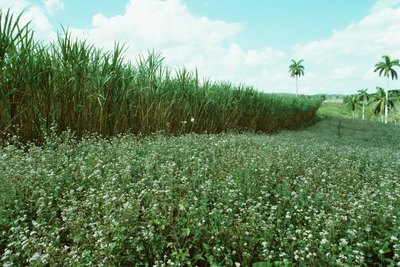 C4 photosynthesis, which eliminates some of the energy waste of photosynthesis by isolating processes in different parts of the plant, accounts for sugarcane's efficiency. Sugarcane exemplifies one of many examples of C4 plants found in the tropics. Although most C4 plants grow in the tropics where constant heat gives them an adaptive edge, the Western world's most familiar crop also uses C4 photosynthesis. Indeed, C4 photosynthesis partly accounts for corn's success as a crop. 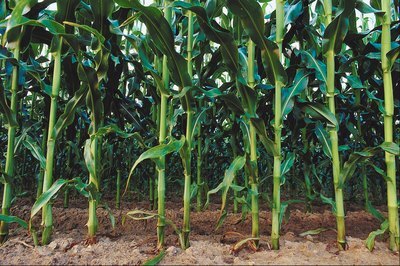 According to the Grain Farmers of Ontario, corn yields double those of most other grain crops, and corn plants also produce twice as much new growth per year as the average temperate forest. 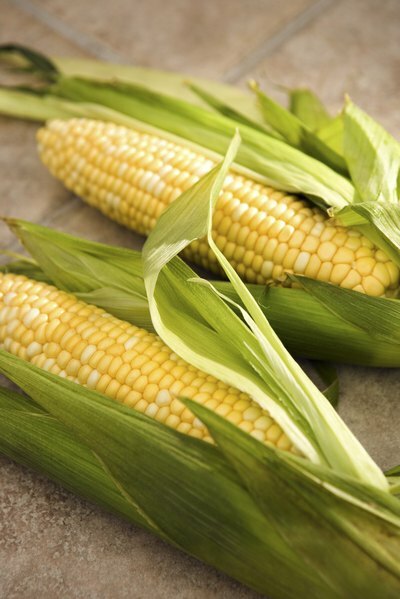 As other crops falter under the long days and high heat of midsummer that drives down their ability to synthesize energy for themselves, C4 photosynthesis allows corn to continue efficient energy production, allowing plants to grow and thrive even in the most challenging conditions. Most C4 plants function by isolating photosynthetic processes in different parts of the plant where high heat cannot cause inefficiencies to occur. Cacti, however, belong to a group of C4 plants called CAM plants that use a form of C4 photosynthesis that performs photosynthetic processes at different times of the day in order to maximize efficiency and minimize water loss. At night, cacti open the pores in their leaves that allow carbon dioxide -- a necessary ingredient for photosynthesis -- to enter. If opened during the day, these pores also account for large losses of water, as water evaporates from them. At night, water losses are minimal. Cacti undergo the C4 photosynthetic pathway and store the products in their cells. 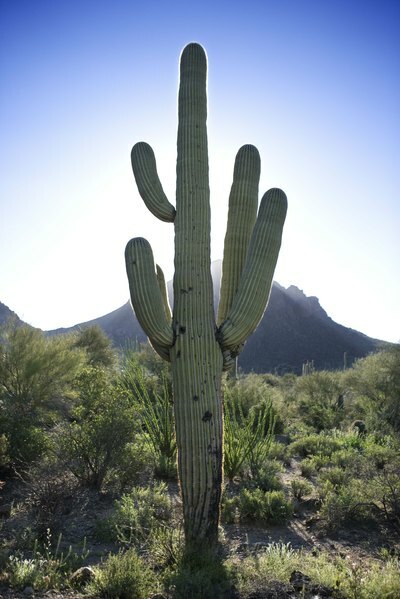 As the sun rises and temperatures escalate, cacti close the pores in the foliage and, using the stored C4 products, complete the photosynthetic process. Is Photosynthesis Endergonic or Exergonic? How Does Photosynthesis Help the Plant? How Do Leaves Make Food? Where is Chlorophyll Found in Plant Cells?